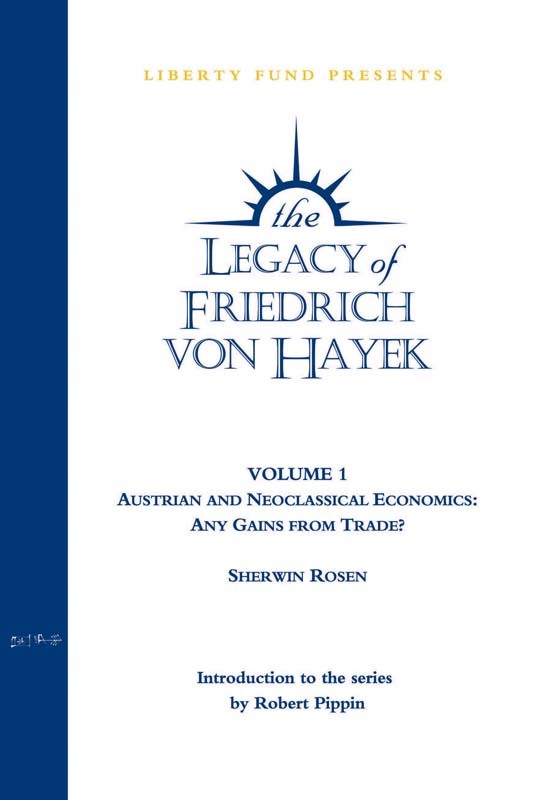 Austrian and Neoclassical Economics (DVD) Any Gains from Trade? One of the leading microeconomists in the United States, Rosen’s research included theoretical and empirical work on income distribution, dynamics of professional labor markets, health economics, social security, and group decision-making. Rosen received his Ph.D. in economics from the University of Chicago in 1966. He was elected to the Mont Pelerin Society in 1988 and to the National Academy of Sciences in 1988. Rosen was President of the American Economic Association at the time of his death, in 2001. DVD. Volume 1. 61 minutes.